Black vinyl test pressing with Mayking Records labels. There is a handwritten catalog number and a rubber stamped A/ B and date, "21 JUIL. 1989", on the labels. 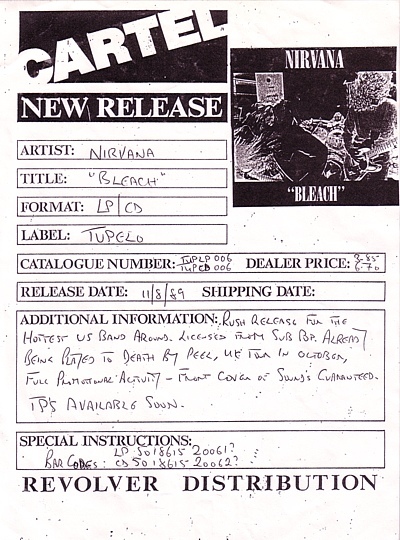 Some copies came with release sheets from Revolver, the distributor. Copy 2 came in a regular picture sleeve, whether it was added by a later owner or originally included by Tupelo or Revolver is unknown. 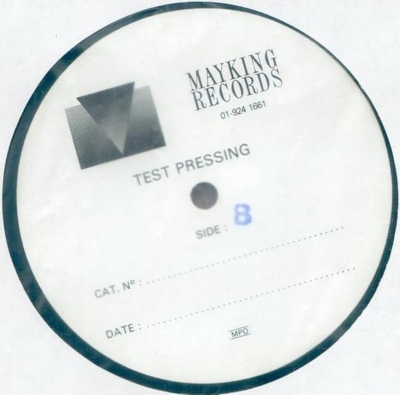 The test pressings came from the plant in either just white inner sleeves, or inner sleeves and plain white cardboard sleeves. 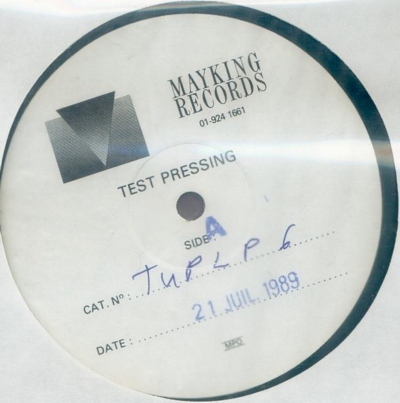 Depending on how well they thought the album would sell, 12 or 25 test pressings would have been made . 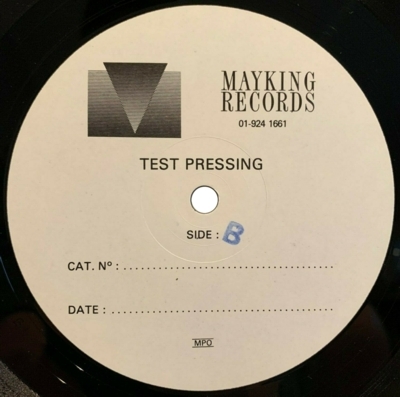 An employee of the distributor thought they made 25 test pressings of this , but it seems unlikely considering so few have surfaced. The test pressings were used to gather advance orders from retailers throughout the UK. It was also common to keep one in the Mayking offices for reference, although this copy was usually discarded when the record was released . So far, four copies have been found, two with release sheets (copies 1 and 4). Rush release for the hottest US band around. Licensed from Sub Pop. Already being played to death by Peel, UK tour in October, full promotional activity - front cover of Sounds guaranteed. TP's available soon.